NASA tallying center releases results from the clouds storage and data center showing Raila Odingas' Win from the scanned forms 34A. - Bana Kenya News, Real African Network Tubanane. Home featured Nairobi NASA tallying center releases results from the clouds storage and data center showing Raila Odingas' Win from the scanned forms 34A. NASA tallying center releases results from the clouds storage and data center showing Raila Odingas' Win from the scanned forms 34A. The NASA tallying center has given out the results from the scanned forms 34A by their agents. The forms transmitted by the agents to the NASA tallying center shows that Jubilee was below them. NASA's tallying of actual Form 34As from yesterday's election indicates the Presidential votes so far as NASA - 8.1m and Jubilee - 7.2m. "The fraud Jubilee has perpetrated on Kenyans surpasses any level of voter theft in our country's history. This time we caught them," says Raila Odinga. "We know some persons gained entry into the IEBC Election Management Database & took over the mandate of Kenyans to choose leaders." he added. Addressing Kenyans on the hacking of the IEBC systems using the identity of the late Chris Musando to manipulate 2017 Results, the Siaya Senator James Orengo claimed to have full evidence of what transpires at the night of 8-9 August 2017. Some of the forms 34A had contradictory results compared to what was posted on the IEBC website. 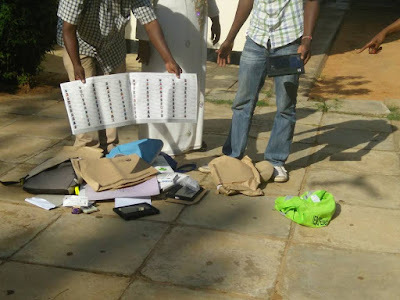 The community groups also alleged that there were areas where unstamped ballot papers were tallied.